Despite an awful lot of bearishness in the market, and global inventories showing no tangible signs of rebalancing, the Oilholic finds the number of long plays in the market to be astounding. In fact, US shale producers are in their element, and producing comfortably at the current oil price range. 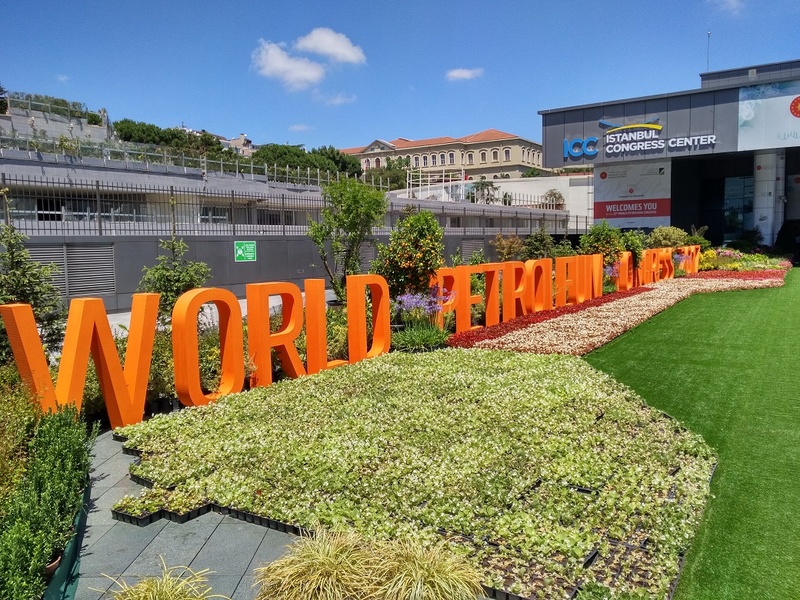 As the International Energy Agency noted at the recently concluded 22nd World Petroleum Congress - "the only oil producing region that has actually seen a rise in investment has been American shale, where compared to 2016, investments are up 53%." Here are yours truly's thoughts in greater detail via a Forbes op-ed. 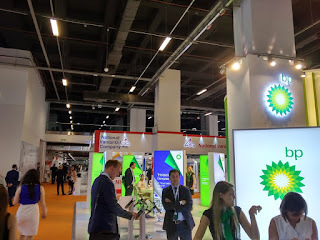 Away from the oil price, given a sequence of the OPEC meeting, a trip to New York and the World Petroleum Congress, a report on Colombian oil production - published by GlobalData earlier in the month - escaped this blogger's attention. It is well worth a crude read, for the research and analysis outfit suggests Colombia is well on track to reinvigorate its upstream sector after the oil price shock. "Improvements already made to the country's royalty framework will benefit licenses currently held in the exploration phase, which may provide some stimulus in the short to medium term, and more flexible licensing procedures are likely to lead to greater uptake of available exploration acreage. However, based on recent life-cycles from exploration to production any newly awarded areas over the next two years will be unlikely to add significant production before 2025," GlobalData notes. This could change; and as for offshore development, Colombia represents one of the most competitive regimes in Latin America and interest in its Caribbean exploration has been steadily growing over recent years. The fiscal regime, according to GlobalData, is currently geared to foster investment with a regionally and internationally low fiscal take. The government is reportedly planning to include areas in the Caribbean Sea as part of the open areas to be made available in 2018, and a recent large gas discovery in the area by Anadarko highlights the potential of this underexplored region. Colombia's Agencia Nacional de Hidrocarburos (ANH) is set to open onshore areas in the North and Northwest of the country in the Sinú-San Jacinto, Llanos Orientales and Medio Valle del Magdalena basins on an open basis and adding areas in the Caguan-Putamayo basin in 2018, with the number of areas available for exploration potentially rising from 20 to 40. The country's current production level is in the region of 706,000 barrels per day (bpd). While that is considerably below its 2015 peak of 1.005 million bpd, more barrels are imminent over the medium term. That's all for the moment folks! Keep reading, keep it crude! © Gaurav Sharma 2017. 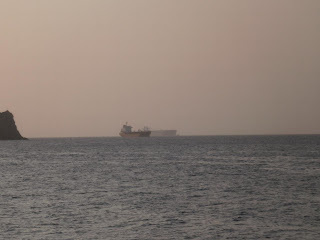 Photo: Oil tankers in the Persian Gulf off Musandam Peninsula, Oman © Gaurav Sharma 2013. 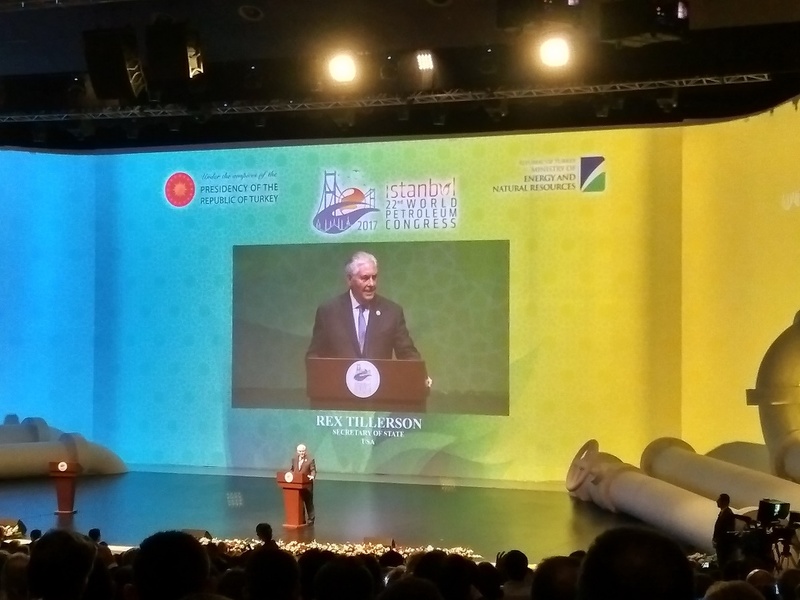 The 22nd World Petroleum Congress circus has left Istanbul, Turkey in a distinctly bearish mood, at least that’s the Oilholic’s verdict! 'Big Oil' boss after boss pointed out to the congress that IOCs were gearing up for a short-term breakeven of $50 per barrel, and working towards a $30 per barrel breakeven by the turn of the decade. Few, if any expect an uptick to a three figure oil price anytime soon. 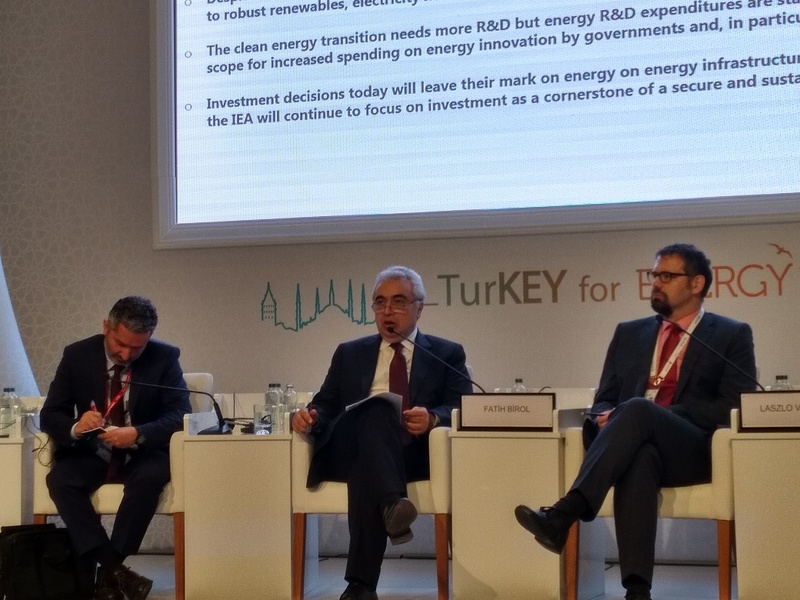 The International Energy Agency expects a flood of US shale barrels, so much so that its Executive Director Dr Fatih Birol noted that describing his outfit as being representative of energy consumers was sounding clichéd these days. Afterall, IEA members US, Canada and United Kingdom, were also energy exporters. At the same time, global oil inventories remain stubbornly above 3 billion barrels, and not anywhere near the 2.7 billion five-year average OPEC is hoping to achieve via its cut. Tied in to all of this are two important considerations in light of what's on the horizon. Firstly, OPEC’s production cut in concert with 10 non-OPEC producers only lasts until March 2018 on paper. What happens after that? Surely more oil is coming our way. Secondly, most at the WPC, including the IEA, predicted US production to climb to 10 million barrels per day (bpd) and for some even as high as 10.3 million bpd. So what is there to be bullish about? Agreed - as many readers of this blog have pointed out - inventory rebalancing will gather steam towards the fourth quarter of this year, but not to the extent some are predicting. For arguments sake, if that is seen as being supportive of the oil price and that sustains oil futures above $55 for a period, more US and non-OPEC oil is bound to come on to the market. Draw your own conclusions where the ‘crude’ world would be heading to thereafter. In short, this blogger finds little evidence that the oil price would escape its current $45-55 per barrel range using Brent as a benchmark. Just a couple of things to flag up before yours truly takes your leave. Here is one’s IBT report from the WPC on how spooked the industry is about not being able to attract enough young recruits and qualified female professionals. 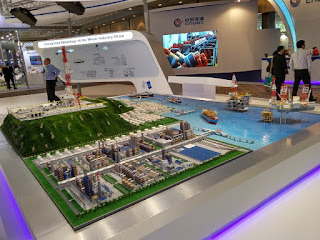 Additionally, here is the Oilholic’s foray into the emergence of ‘crude’ robots, that could be coming to an oil and gas field near you. That’s all for the moment folks. Keep reading, keep it ‘crude’! © Gaurav Sharma 2017. 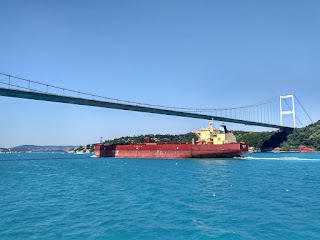 Photo: An oil tanker in the Bosphorus, Istanbul, Turkey © Gaurav Sharma, July 2017. As the 22nd WPC approaches its end, more interesting soundbites have emerged, especially from International Energy Agency (IEA) Executive Director Dr Fatih Birol who has been on several panels and forums, energised no doubt in his hometown of Istanbul. On average, most analysts, including many at the IEA, expect that global demand growth to be in the region of 1.2 to 1.3 million barrels per day (bpd). That’s hardly the stuff of dreams for those placing long bets on the crude stuff. Getting away from Birol, the Oilholic also had the pleasure of spending a few minutes in the company of BP boss Bob Dudley, who said the oil giant was preparing for a $30 per barrel oil price breakeven. Here’s one’s exclusive interview for IBTimes UK. In another major development, the geopolitical significance of which cannot be understated, India has imported its first ever consignment of US crude oil. For a country largely reliant on Middle Eastern oil, the US is now an avenue. 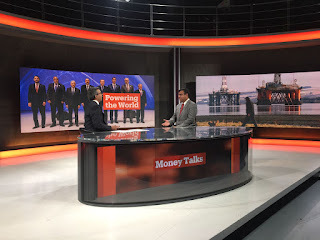 Finally, before one takes your leave and calls time on the 22nd WPC, it was a pleasure appearing on host broadcaster TRT World, and discussing the crude state of affairs on the channel’s Money Talks programme. 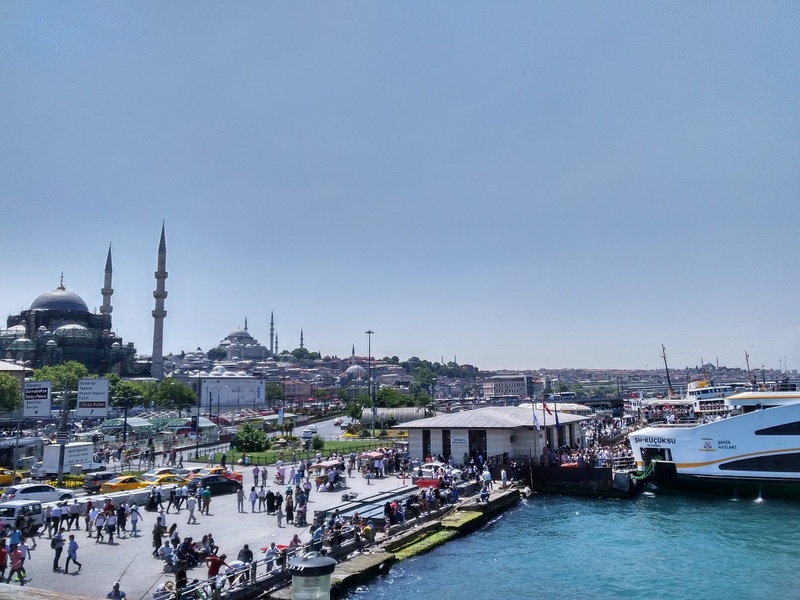 Here’s a clip dear readers, but that’s all from Istanbul! Keep reading, keep it ‘crude’! © Gaurav Sharma 2017. Photo: The Oilholic (right) on TRT World’s Money Talks with Azhar Sukri © Gaurav Sharma 2017. 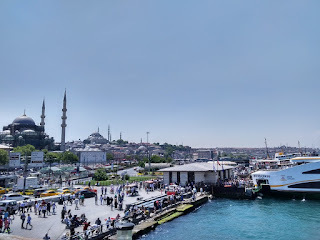 The Oilholic is by no means a photojournalist, but akin to the last congress in Moscow, and in keeping with a tradition dating back to WPC 20 in Doha, there is no harm in pretending to be one, this time armed with a BlackBerry DTEK here in Istanbul! 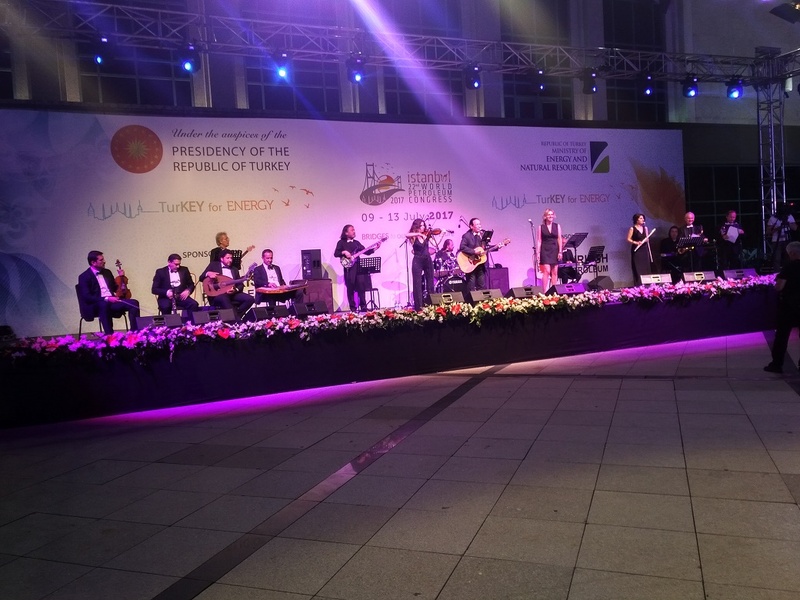 The 22nd World Petroleum Congress also marked this blogger's return to Turkey and the vibrant city of Istanbul after a gap of three years. The massive Istanbul Congress Center (left) happens to be the Turkish venue for the Congress from July 9-13, 2017. 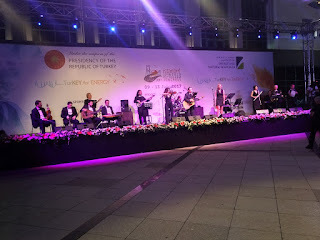 Hope you enjoy the virtual views of the venue as well as Istanbul, as the Oilholic is enjoying them here on the ground. (Click on images to enlarge). © Gaurav Sharma 2017. 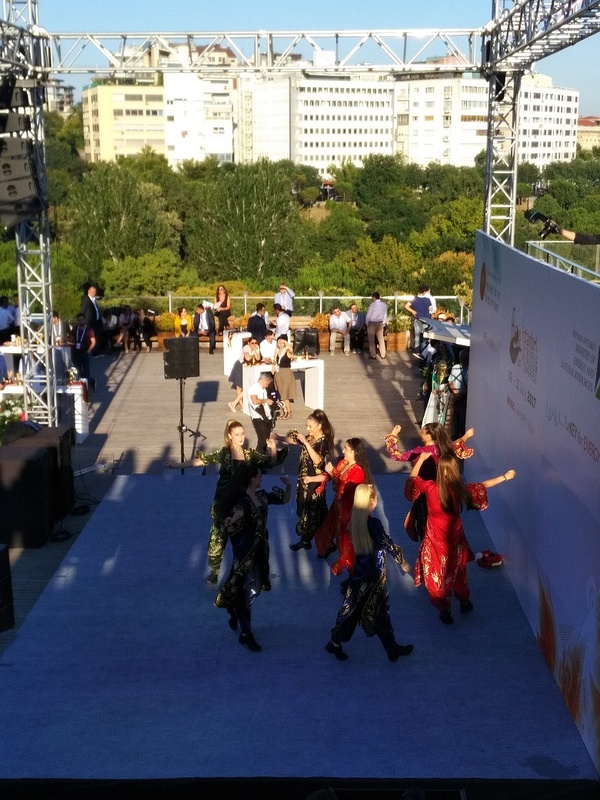 Photos from the 22nd World Petroleum Congress, Istanbul, Turkey © Gaurav Sharma, July 2017, as captioned. The current US Secretary of State and the former ExxonMobil boss Rex Tillerson got things off to a nostalgic start by telling the 22nd World Petroleum Congress he misses the industry. In town to collect the Dewhurst Award, Tillerson joked he’d be heading to retirement by now, but things just didn’t turn out that way, when President Donald Trump came calling. (Here’s a full IBTimes UK report). 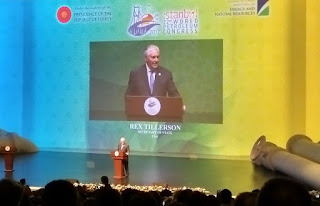 If things didn’t quite turn out the way Tillerson imagined, the WPC – so far – is turning out to be exactly the way half the world’s media thought it would between the Saudis and Qataris who are entrenched in a diplomatic row and keeping their distance from each other. Qatar’s energy minister Mohammed Saleh Al Sada said his country’s exports of liquefied natural gas (LNG) to major partners remain unaffected by the boycott of Doha by Saudi Arabia and its allies United Arab Emirates, Bahrain and Egypt. The Qatari minister told the WPC its LNG exports to the UAE, Saudi Arabia and Bahrain accounted for less than 8% of its total. The country's exports to Japan, India, South Korea and China – accounting for nearly 75% of the total - have not been affected. "Qatar remains committed to all its agreements with its partners and is determined to maintain this status despite the illegal and unjust embargo imposed on it," he added. What’s more, the Qataris are taking legal action against the aforementioned blockaders. (More here). And just before for one takes your leave, it’s also worth mentioning that OPEC Secretary General Mohammed Sanusi Barkindo has said there would be no further discussion on crude production cuts, since it would be “premature” to discuss this. Concurrently, Kuwait's Oil Minister Issam Almarzooq has told Bloomberg that Libya and Nigeria – the two OPEC members exempt from production cuts – may be invited to consider capping production pretty soon.That’s all from Istanbul for the moment folks! Keep reading, keep it ‘crude’! © Gaurav Sharma 2017. Graph: Oil benchmark prices year to date © Gaurav Sharma 2017. 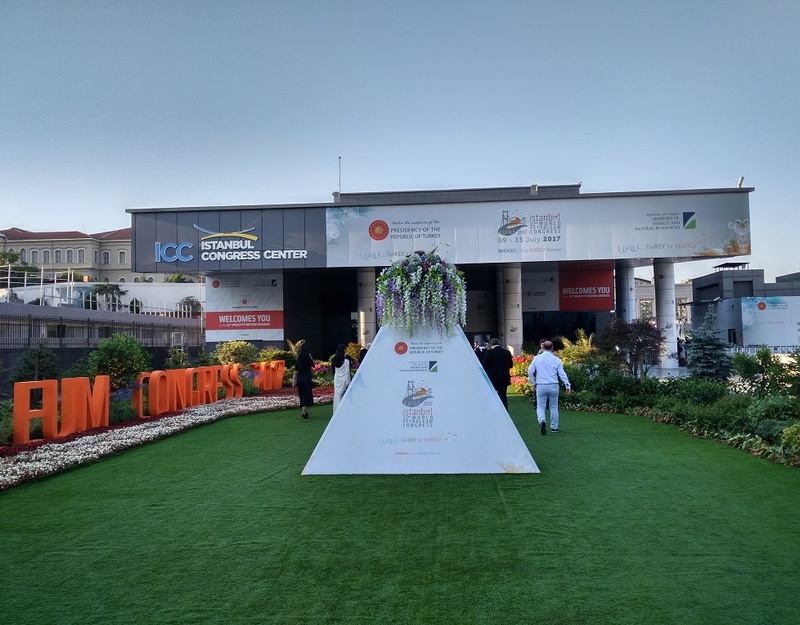 The Oilholic has arrived in Istanbul, Turkey for 22nd World Petroleum Congress, with the 2017 edition being this blogger’s third. Oh how time flies! Many in the industry must be wondering the same – from Doha (2011) to Moscow (2014) to Istanbul in 2017, the price of crude, using Brent as a benchmark, has fallen considerably, even if it was not a steady downward trajectory. In 2011, the industry was looking at three-figure prices following a recovery from the global financial crisis. 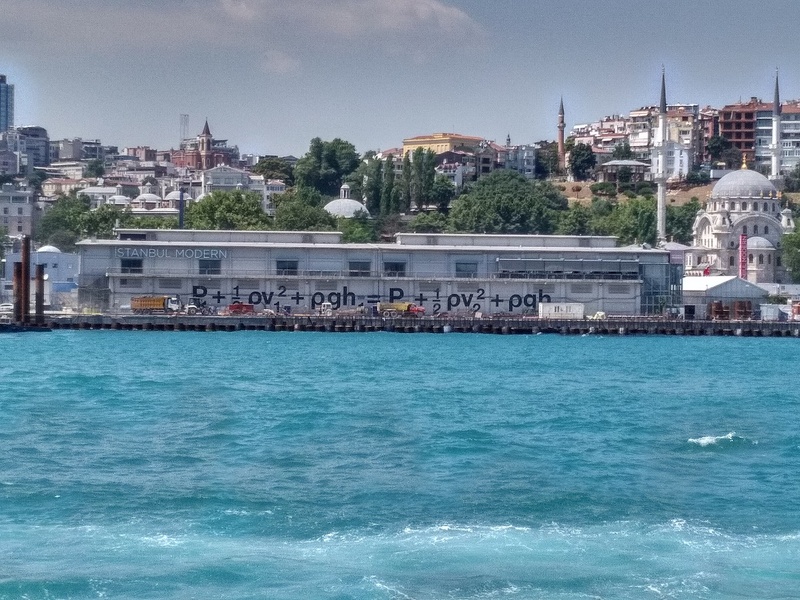 In 2014, the signs of an oil price slump were visible and in here in Istanbul we see it crudely languishing in the $40s despite an OPEC production cut - of 1.8 million barrels per day - in concert with 10 non-OPEC players, at least on paper, and in place until March 2018. With customary aplomb over 6,000 delegates are expected at the industry’s premier jamboree with 500 chief executive officers, 50 ministers and around 25,000 visitors for the World Petroleum Exhibition; one of the largest strategic oil and gas expos in the world. 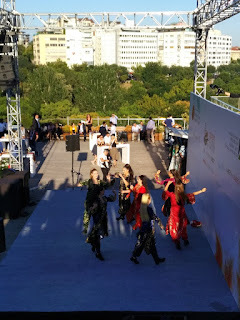 Over coming days we can expect to hear from the bosses of Shell, BP, Total, ExxonMobil, Chevron and many more, and ministerial soundbites from India to Iran, Kuwait to Russia and then some. 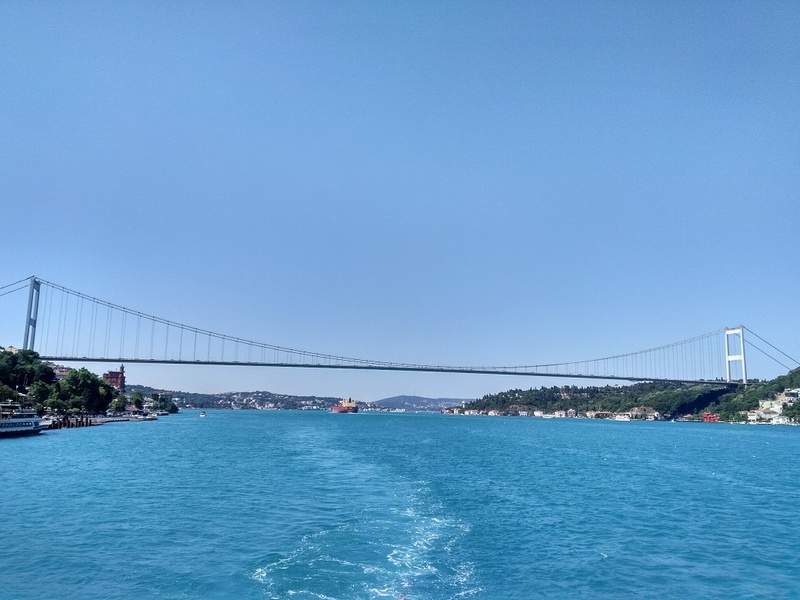 Watch this space, but that’s all from Istanbul for the moment folks! Keep reading, keep it ‘crude’! © Gaurav Sharma 2017. 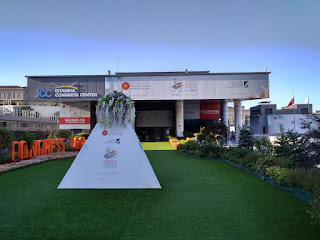 Photo: Istanbul Congress Center, venue of the 22nd World Petroleum Congress © Gaurav Sharma 2017. 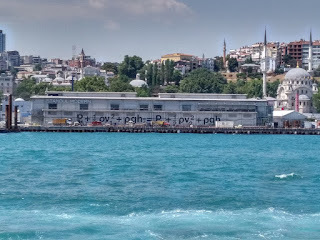 Labels: 22nd World Petroleum Congress Istanbul, 22nd WPC, Brent Crude, ExxonMobil, oil price slump, Turkey. 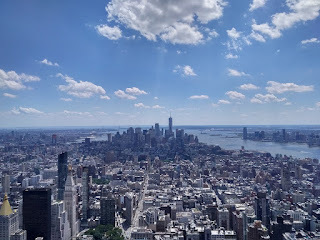 Its great to be back in New York on a part business, part pleasure adventure. Of course, on visits like these, yours truly almost, always catches up with known crude traders and analysts to get a sense of how they are feeling about the direction of the market. More so as market mood is a fickle thing, and we are currently staring at an oil price jump predicated on the first single-digit decline in US rig counts for over 22 weeks. But seriously is that enough to go long? Not quite according to majority of traders yours truly has met in Manhattan; some 8 out of 10 remain net short and say the rally won't last. Almost all believe that US production would cap 10 million barrels per day (bpd) in 2018, and that we should not read much into the price uptick of the past week. Consensus here is that while the market is showing nominal signs of rebalancing, a short-term bounce of appreciable magnitude is not on the horizon. Furthermore, OPEC faces a damned if you do and damned if you don't dilemma. Much of its cuts are coming at the expense of market share based on raw data. Whenever that has happened in recent history, the oil price has slipped too in most cases, in step with OPEC's lower market share, as the Oilholic noted in a recent Forbes piece authored last week from here. The other problem is - should OPEC decide to pump more, or move to protect its market share, that would mean more barrels on the market and a subsequent bearish impact. 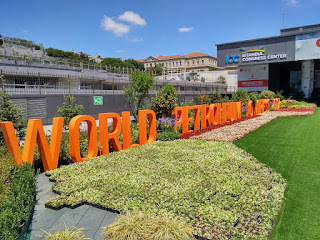 And on that note, and armed with some bearish feedback from the Big Apple, its time for the Olympics of the oil and gas business; yup that would be the 22nd World Petroleum Congress in Istanbul, Turkey. 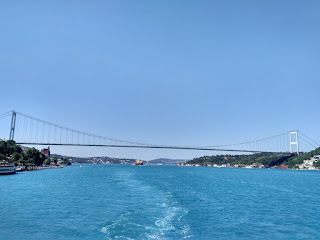 Goodbye from NYC folks, and more from Istanbul soon! Keep reading, keep it crude! © Gaurav Sharma 2017. 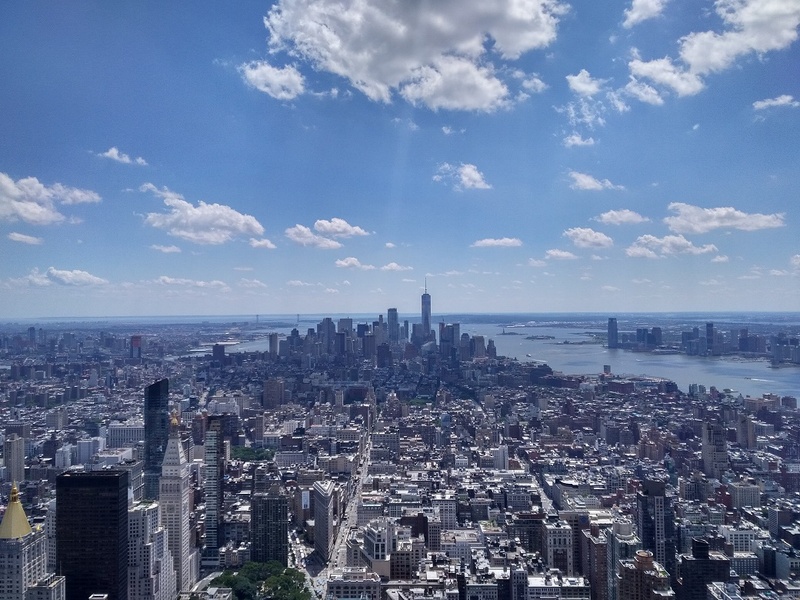 Photo: Skyline of New York, USA photographed from the city's Empire State Building © Gaurav Sharma 2017.